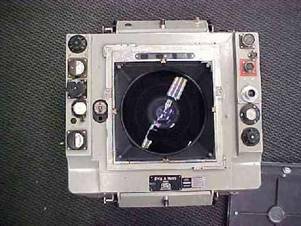 On September 4, 1971 an Ariel mapping mission was being conducted by the Costa Rican government. While flying over a location known as Lago de Cote, they captured an unknown image. This image has become regarded as one of the best images of a “U.F.O.” (Alien spacecraft). 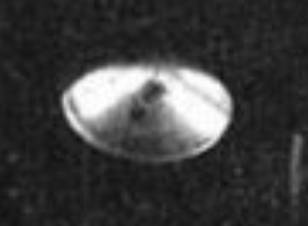 The image was analyzed in 1989 by Richard F. Haynes and Jacques F. Vallee who concluded that the image was disk shaped object that had “a maximum dimension of 683 feet”. Before we examine the claims of their analysis let’s look at the men conducting the research. Dr. Haines has his Doctorate in the field of Experimental Psychology. He did work for NASA-Ames for 19 years and conducted research for displays, window design and space suit habitability. Co-developed the computerized mapping of mars for NASA. He has defended the scientific legitimacy of the extraterrestrial hypothesis and even an interdimensional hypothesis. He has a B.S. in mathematics and an M.S. in Astrophysics. He has been involved in many different research projects for computer network applications. He is also on the Scientific advisory board for Bigelow Aerospace. The 1989 analysis should be looked at skeptically due to the facts that the two men who wrote the report and the group that it was done for are involved in U.F.O. research from a biased believers point of view. 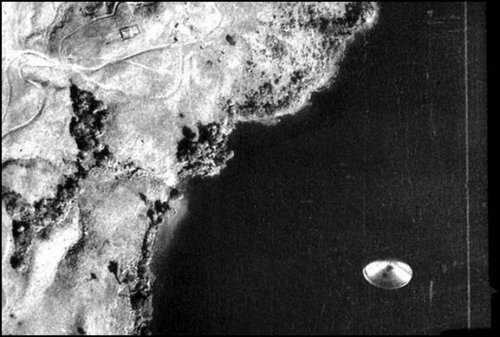 The image was taken on September 4, 1971 by a Costa Rican government plane conducting mapping of the area. 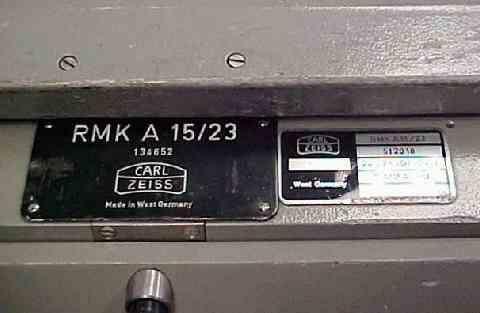 The Camera that was used was a Carl Zeiss RMK 15/23 Camera system. The camera was set to capture one image every 17 seconds. The official report from the government is that when the image was taken “None of the flight crew or photographers saw the object.” This was a plane on a mapping mission which means that not only the pilot but the photographer had to be sure that the location of the plane was exact to conduct proper mapping. This means that both would be observing outside the plane (downwards for the photographer). Just like most other “paranormal” photographs, the conclusion should be that if it was not seen while the image was being captured there is some type of photographic anomaly involved and not automatically jump to an extraterrestrial conclusion. The analysis concluded that “If the disc was located 10,000 feet away from the camera, its maximum dimension would be 210 meters (683 feet).” They do not mention that if the “object” was closer it could have been considerably smaller. Depending on the location of the “object” it could range from their 683 foot object to something as small as a bug. This shows the bias of the analysis because they had already concluded that this was an object that was near the surface of the Earth. This is obvious in their statement “The camera was looking down, which implies a maximum distance, hence a maximum size for the object” while not taking into consideration a minimum size at a close distance to the camera. The report also states “The absence of a shadow from the disk remains a puzzle to us… an obvious explanation is that the object is at the surface of the Earth where no shadow would be expected. Another explanation is that the object is opaque.” This conclusion assumes that the “object” was large and near the surface of the Earth and not close to the camera where if it was an image of an airborne object would not cast a shadow in the photograph. The report also includes “Subsequent ground sightings” from dates including; September 27, 1978 and October 25, 1986. These later reports should not have been included in the report because they have no correlation between them and the 1971 image. By including these in the report it adds confirmation bias by correlating events that have no apparent relationship with each other. While the report did look into the possibility of some type of debris on the film or its film plane back-plate was discussed and disregarded, they never looked at the camera itself.